These are some of our most frequently asked questions. Do not hesitate to contact us should you not find your questions or concern listed on this page. Thank you! We guarantee our workmanship for twelve full years. And we unconditionally support manufacturers’ warranties during that time. Watch for those contractors who, only after a year or so, will hold you responsible for labor on warranty work that’s solely attributable to materials that they selected. How do I know if you have valid insurance? Our company carries 2 million in liability insurance, workers comp insurance and we will issue a Certificate of Insurance on request in the name and address of the customer where the work will be performed. How can I trust that you’ll do what you say? Your documentation will have everything in writing: the proposal, the installation process, your warranties, even our promise to the clean up after ourselves. But keep in mind that the best predictor of future performance is past performance. 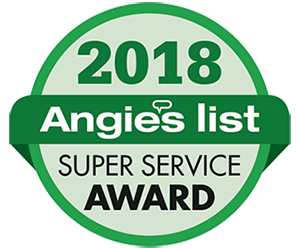 We are an Angie’s List® Super Service Award winner for six years in a row. We work with insurance companies all the time. We are very comfortable in filling out the paper work needed to submit your claim. We would be happy to go over the insurance claim if it needs some explanation. We know that while your house is in need of repair, it can be even more unsettling to fill out the required paperwork that you have never had to fill out before. Please know that we are here to help you get that paper work submitted correctly. We are a recipient of the Angie’s List Super Service Award for 2011. We would be happy to provide references on request. What you have in place for quality control? Jordan Exteriors is fully licensed in Wisconsin and lead safe certified for the state of Wisconsin. Our 12 year workmanship warranty is the guarantee that we have done things right. How long does it take to get my proposal? We will generally have a written proposal emailed to you within 48 hours from our initial appointment at your home or business. Alternatively, we will use conventional mail if you do not have email access. We give proposals, not estimates. This is a guaranteed, fixed-price document in writing that includes a breakdown in detail of the recommended work. If we make a mistake and undercharge we pay for it, we don’t come back with a change order like the competition. Of course, should you want to add or subtract an item, we will adjust the cost accordingly. We accept cash, check and credit cards and we offer “same as cash payments” with approved credit. Some restrictions apply. Inquire within. What happens after I choose Jordan Exteriors? 1. We will come and look at the project and give our recommendations. 2. Send a detailed proposal via email or post with a breakdown of pricing and features of the product. 3. If you select us we will come back for a final measure, pick up the signed proposal and a deposit. 4. About 4 weeks later the windows will be ready and we will contact you to schedule an install day suitable to you and give you an idea of time for completion. Jordan Exteriors is all about making customer satisfaction a priority as we rely heavily on highly recommended referrals. After your project is completed and the workmen leave, Jordan Exteriors is available for questions and concerns. If you have a problem call us 7 days a week up to 9pm. We are here for you to answer and address all your questions regarding our products and/or workmanship. Once the project is finished we will show you how to operate the windows properly. We will furnish you with the warranties, collect the final payment and invite you to complete an Angie’s List satisfaction survey even if you are not a member.